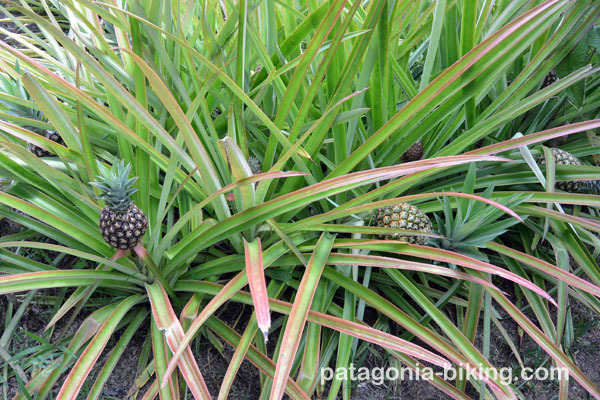 Costa Rica is a “garden country”, where Nature has developed in an unique way. 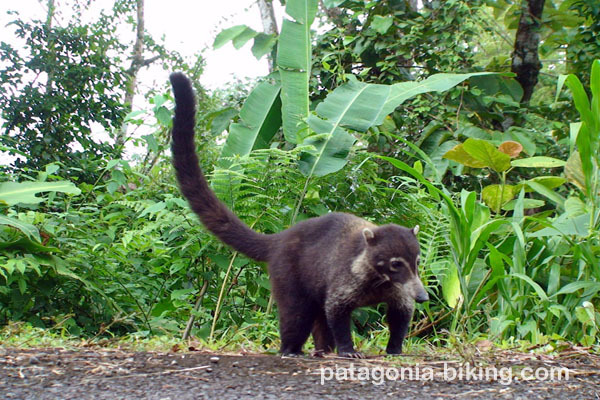 Its people, the “ticos, are very appreciative and protective of its biodiversity. They are an extremely nice people. 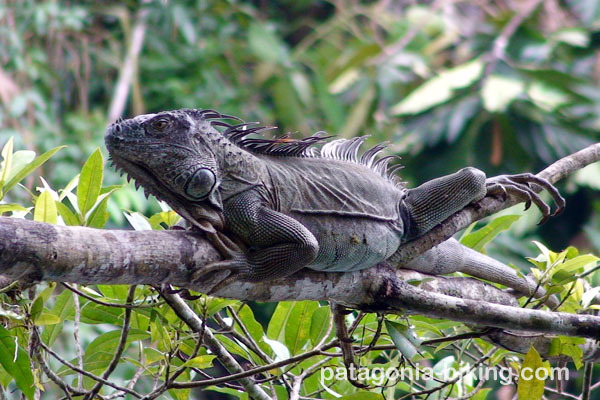 27 % of Costa Rica’s territory is a protected area and there are 25 national parks. 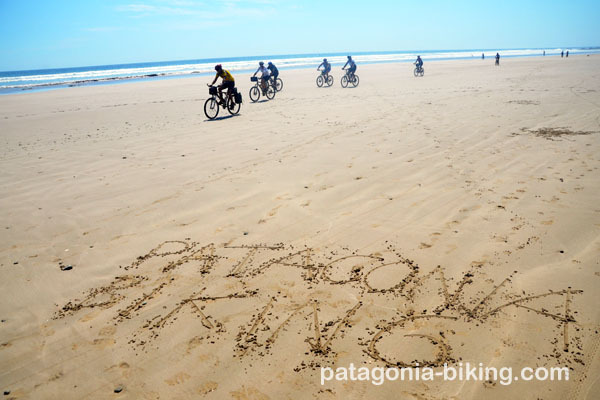 It’s a very tempting invitation to a nature loving cyclist! Arrival at San Jose de Costa Rica airport, transfer to the hotel and introduction dinner. Transfer to the Irazy volcano crater. 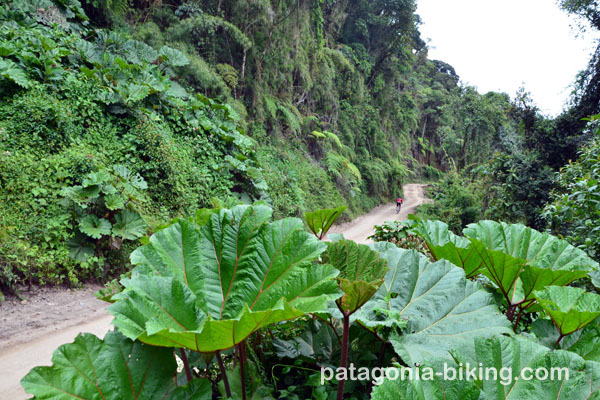 From there we descend on dirt roads –over 2400m positive level difference – and secondary paths. 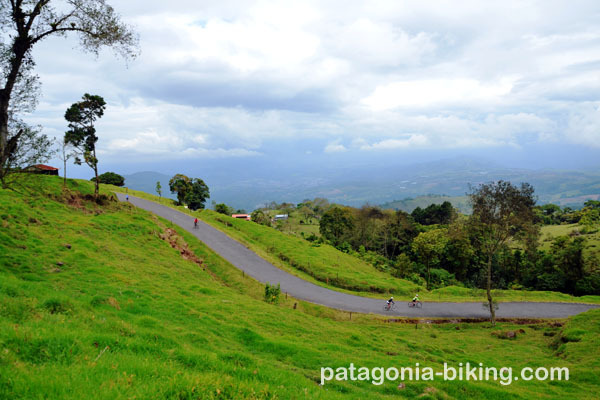 We will also ride in the foothills of the Turrialba volcano, where we might have the possibility to take a detour –weather permitting to Guapiles-. 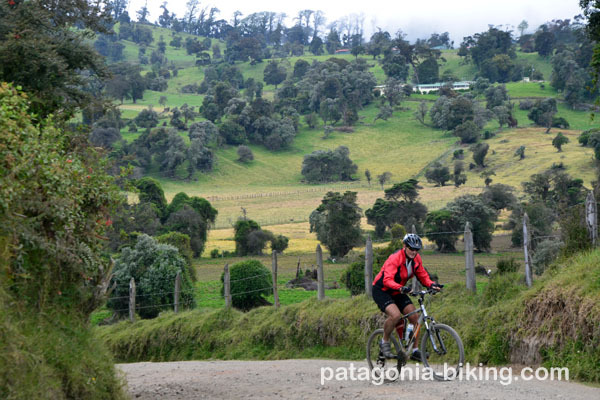 Distance: 45 km (30 km of dirt and paths), mostly on a descending slope. 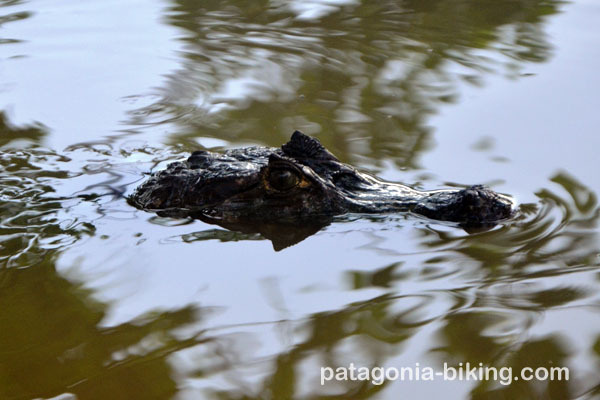 Lodging: cabins in Fortuna or Guapiles. 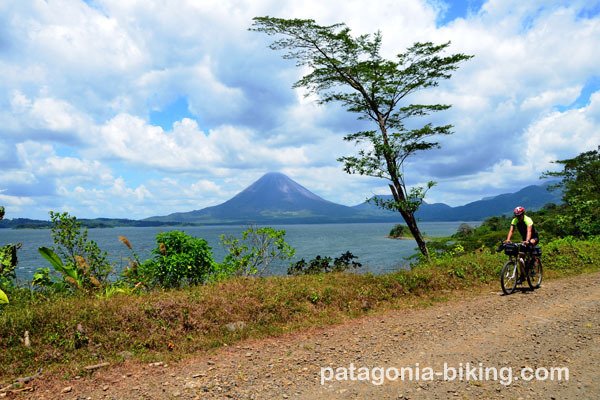 Similar itinerary to the one around lake Arenal. 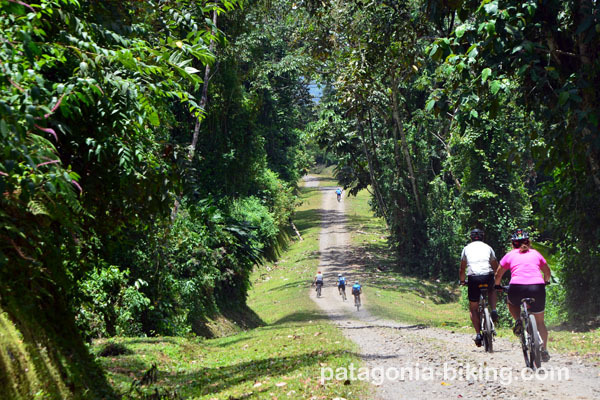 If the weather is good we will ride dirt roads; if not, pavement roads. Lodging: lake-view cabins 10km from Tilaran. 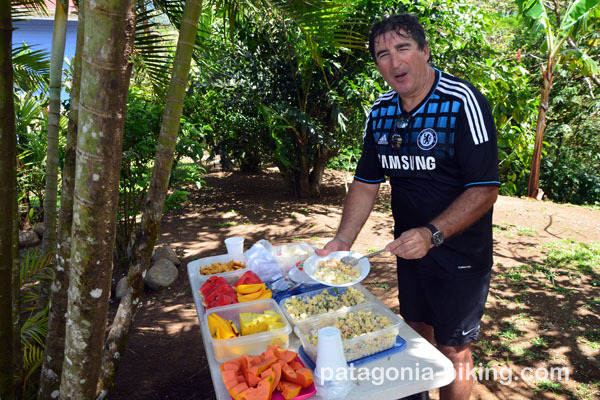 Day off –lunch and dinner not included-, with the possibility of a trip to the volcano. 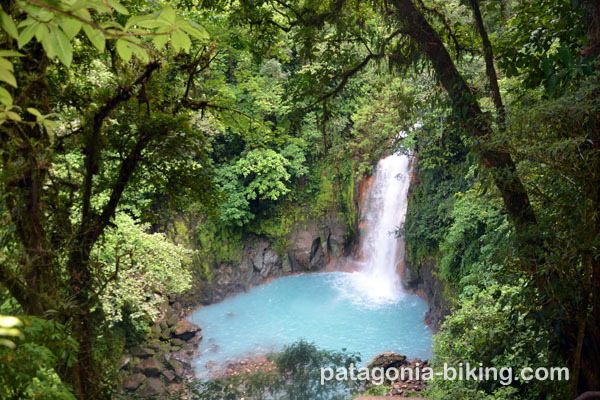 Suggestion: bike ride to Bijagua and then transfer to the Tenorio National Park and a trekking to the Rio Celeste waterfall. Lodging: same place we stayed last night. 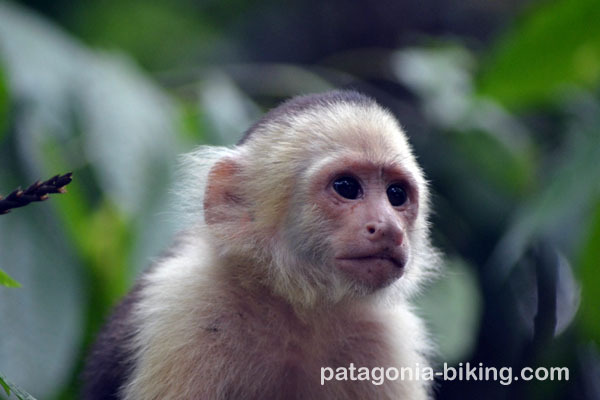 We start with a transfer and then we ride our bikes in Sardinal, doing the “Route of the Monkeys”. It is ups and downs through a very thick forest. 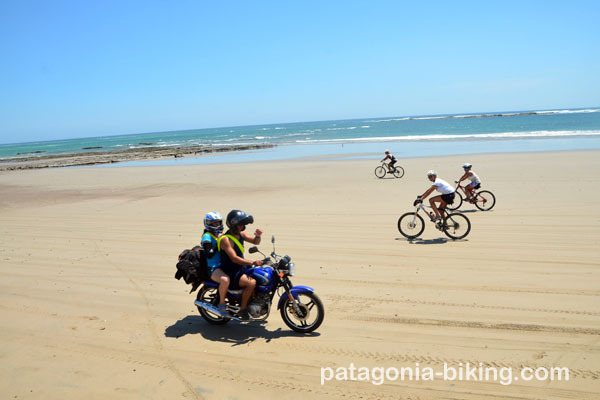 We will then ride past the beaches of Bahia Potrero and Brasilito. 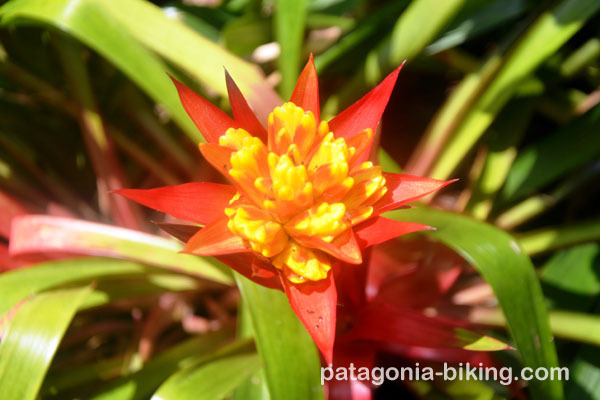 We will finish in the Las Baulas Marine National Park. 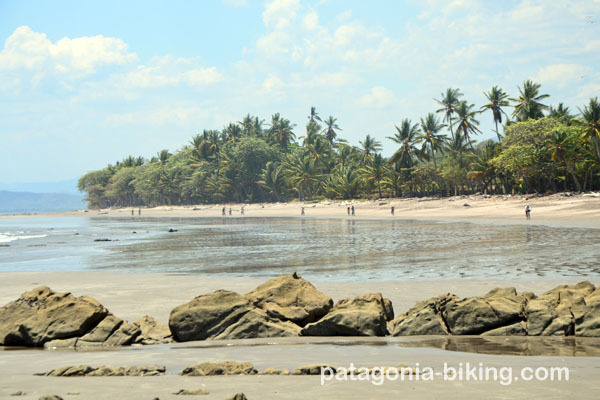 We will ride by some solitary beaches: Avellanas, Negra and Junquillal and across Ostional, a small village located inside a wildlife refuge. 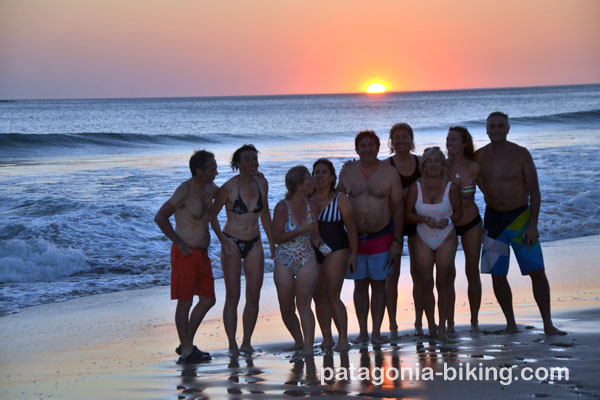 We will finish the day in “Rancho Suizo”, with the choice of enjoying Playa Pelada, the swimming pool or the Jacuzzi. Distance: 76 km, some ups and downs (dirt). 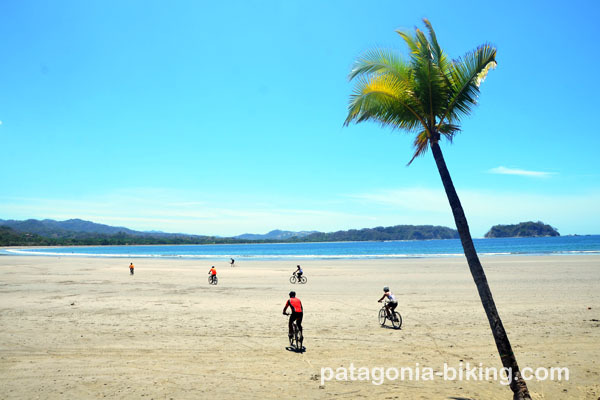 We will ride past the small Garza Beach and the frequented beaches Samara and Puerto Carrillo. There we will start a stretch with 3 important ups and downs. 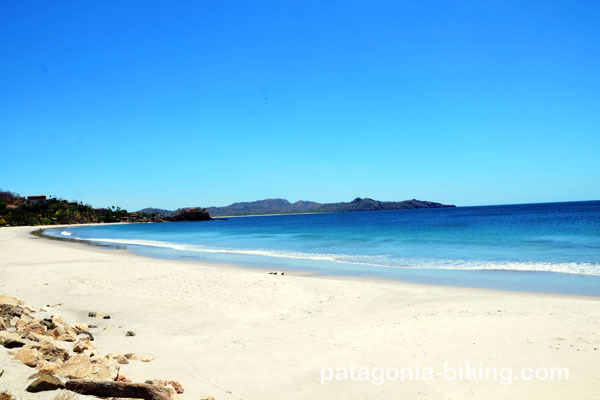 Islita and its beautiful beach and towards near Playa Bejuco or San Miguel. Distance: 62 km. 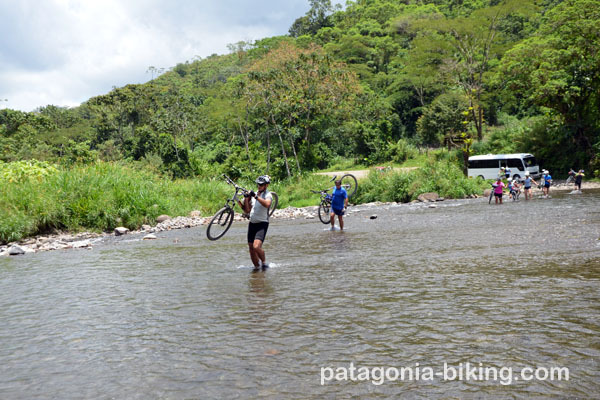 Some river crossings and steep ascents and descents (dirt). 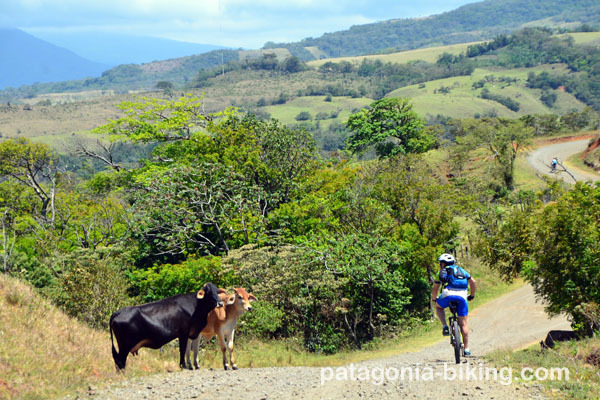 We ride past cattle ranches and small villages (San Francisco), until we reach Punta Coyote (km 30). 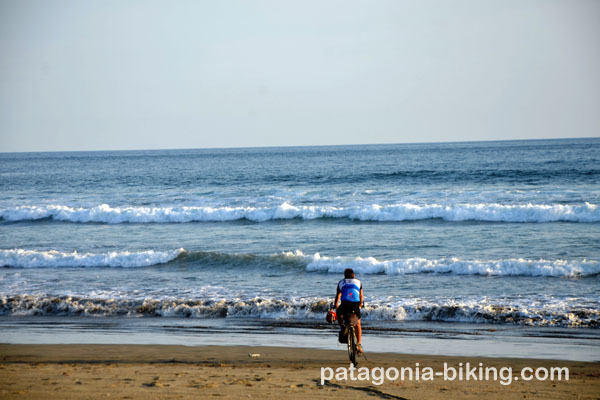 In order to reach Manzanillo Beach we will have to ride some kilometers on the beach, taking into account the tides. 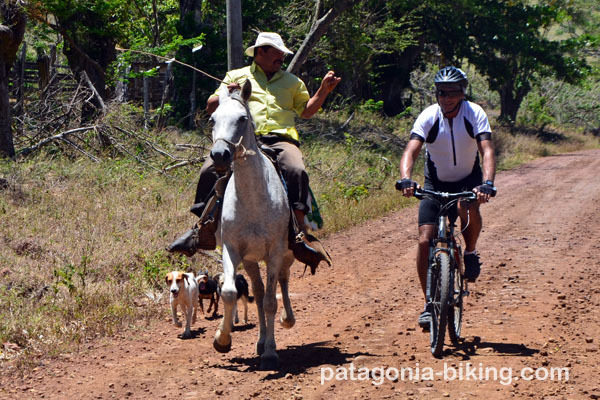 Then it’s on to Santa Teresa, doing some riding and walking as well. We start riding on one end of the peninsula and then we go across the other side. 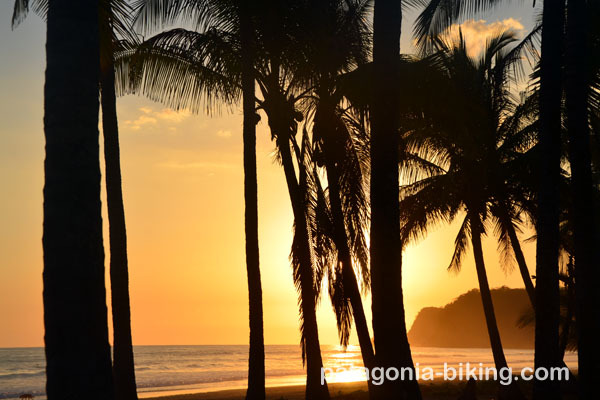 We will finish the stretch on the well-known Montezuma beach. We will transfer (aprox. 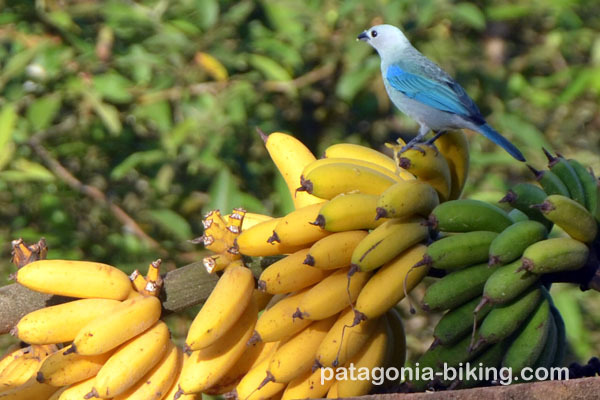 150 km) on a minibus to Quepos (lunch not included), ride on a ferry and then arrive at Punta Arenas. Distance: 16 km on dirt. 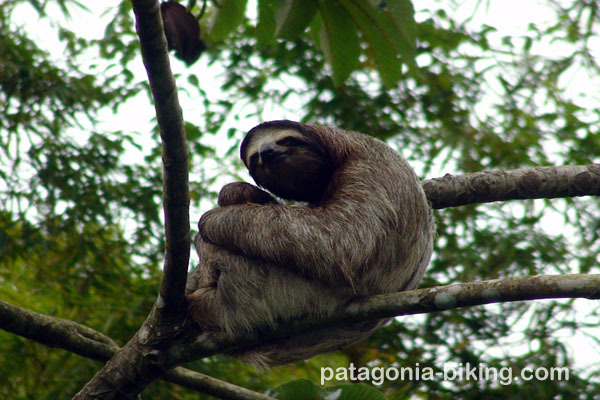 We visit the Manuel Antonio National Park, doing some trekking in its paths and beaches. 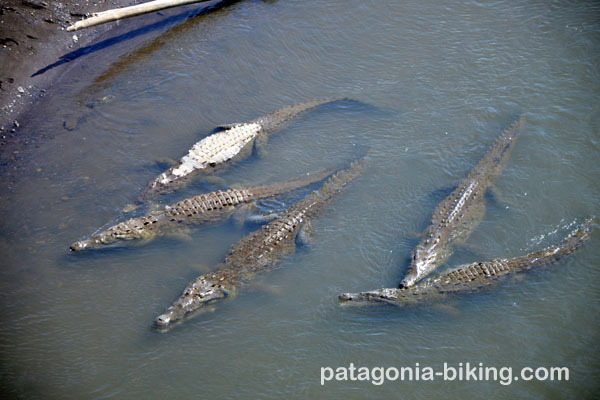 Possibility of watching indigenous fauna. Lodging: same as last night. 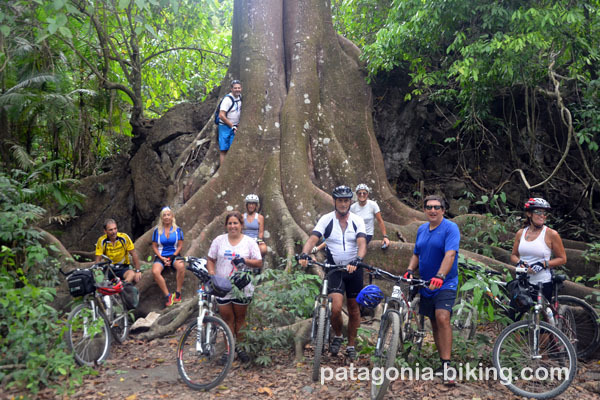 We will ride the first 45 km on our mountain bikes to Dominical, across palm tree fields. 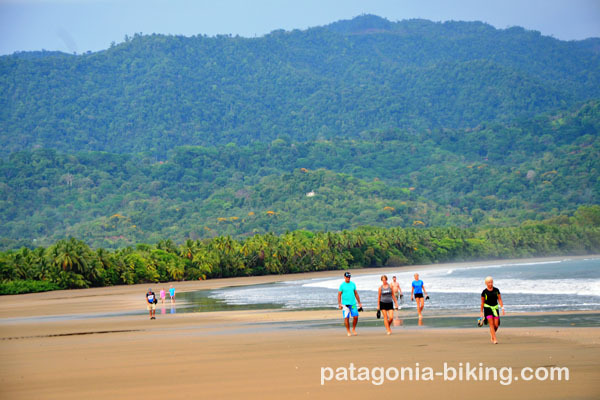 Then we continue by the coast until we reach playa Uvita, inside Parque Nacional Marino Ballena. 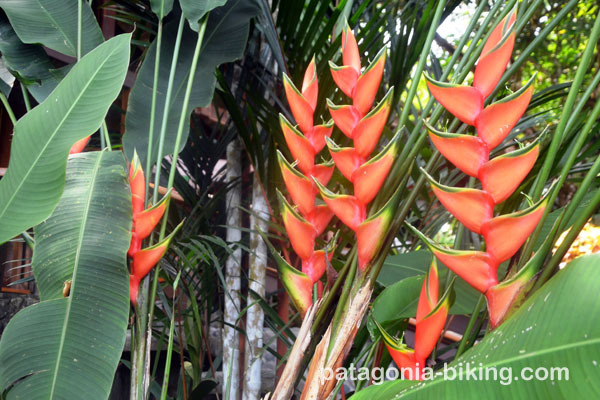 This park has a coral reef and also all the species of mangrove that there are in Costa Rica. 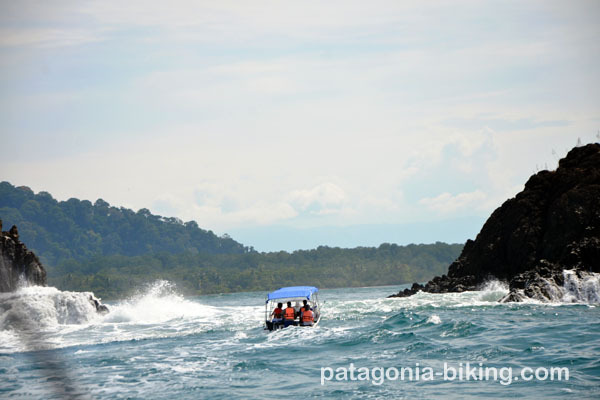 There is a peculiar phenomenon that takes places in Punta Uvita: when the tide rises, water comes from both sides of the sea. 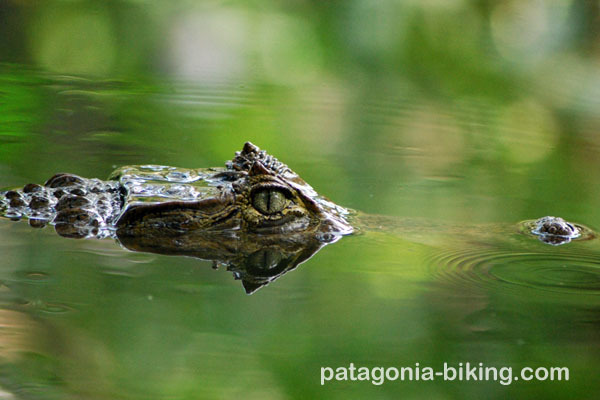 This peninsula is the most virgin place in Costa Rica and is considered the world’s national park, and the one with the richest biodiversity. 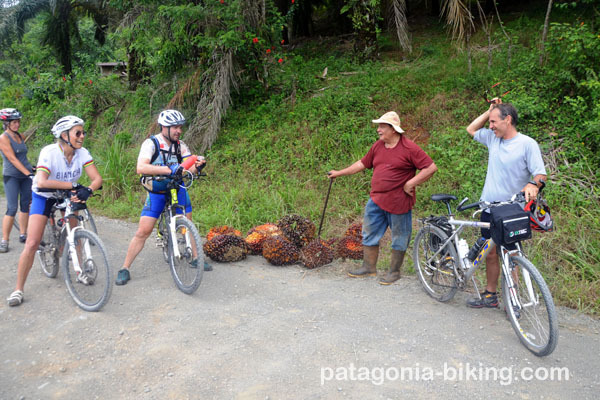 Transfer to Sierpe (65 km). 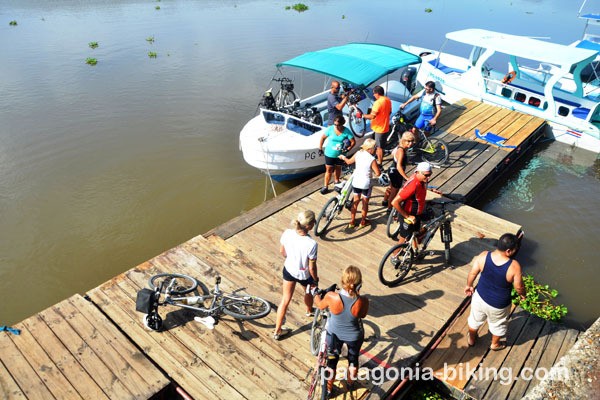 The magnificent route to Drake will be on a boat down the river Sierpe and among the mangroves. 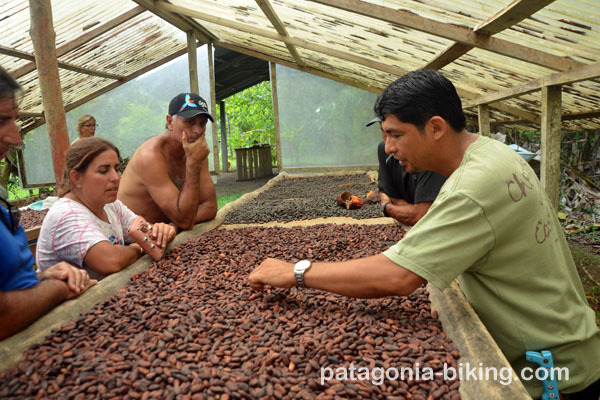 The trip is 1h30m and it finishes in Drake Bay. 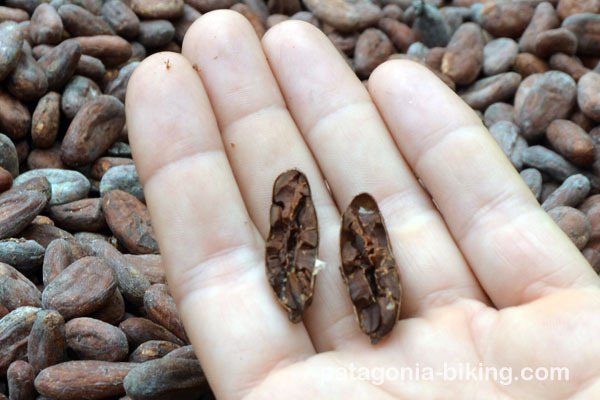 From there we will ride 40 30m and it finishes in Drake Bay. 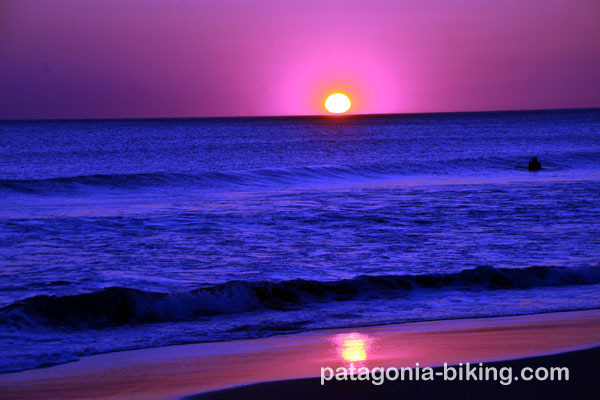 From there we will ride 40 tough km to Puerto Escondido. 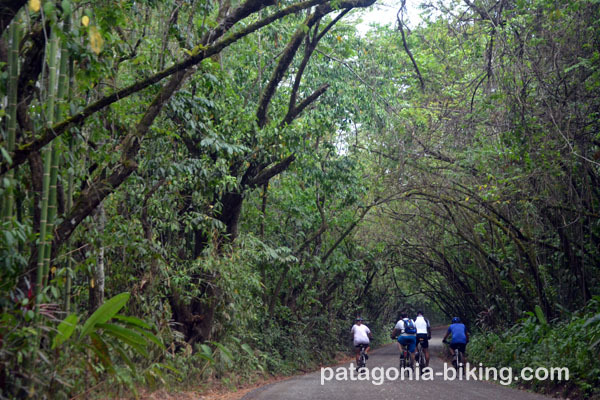 We will go through the Golfo Dulce Protected Forest and across nice little villages. 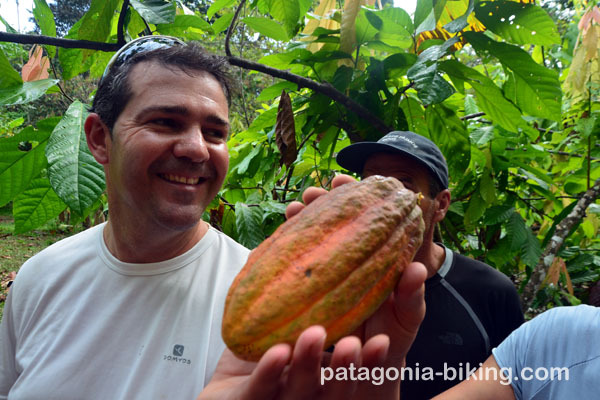 We will stay at a rural estate where they farm cacao and several organic produce too. We will ride a short and flat stretch to Pto. Jimenez. 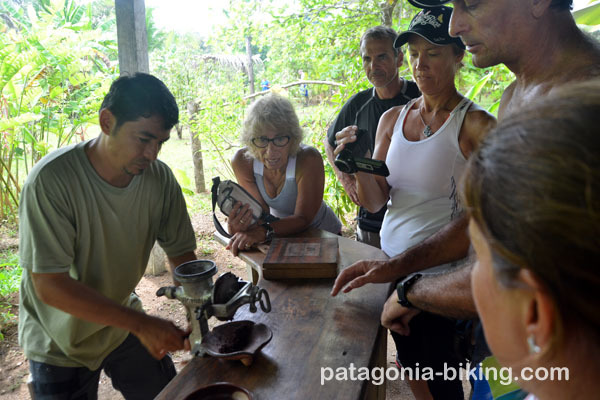 Then we will continue to Cabo Matapalo. 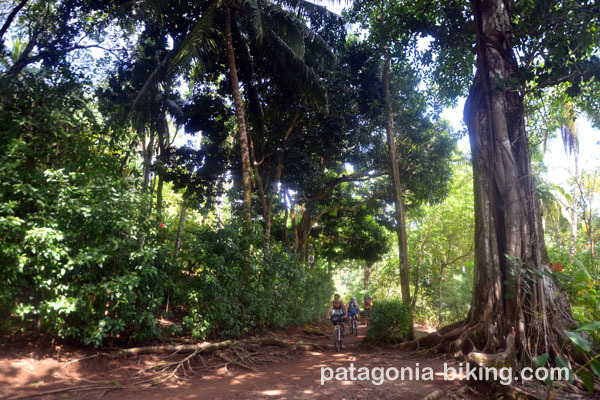 There we will stay at a cabin compound with thick vegetation and near the sea. Rest of the day off and dinner not included. Distance: 39 km (20 km by land) in a 95 % flat terrain. Day off, in order to make the most of and enjoy the wilderness. 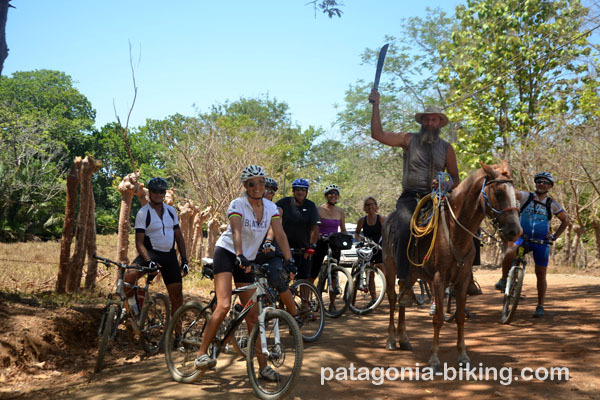 If someone wants to extend the adventure, you can go to Carate (entryway to Parque Nacional Corcovado) and ride a very uneven and wild stretch surrounded by very dense vegetation. 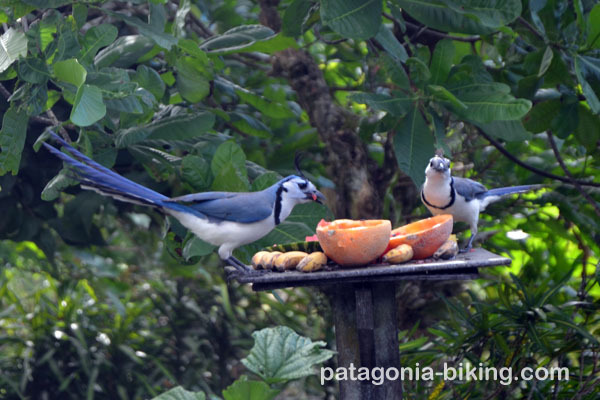 Return to San Jose by minibus –lunch not included-. Final dinner. 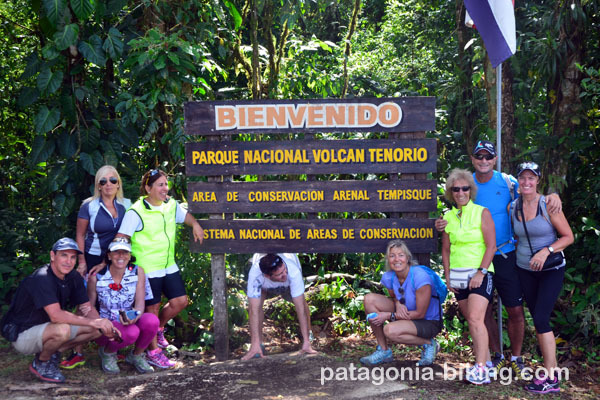 San Jose, Cartago, Volcan Irazu (3432m), Volcan Turrialba, Volcan Arenal, Lago Arenal, Volcan Tenorio, Travesia de la Peninsula de Nicoya: Ruta de los Monos, Playa Grande, Avellanas, Ostional, Cabo Blanco. Parque Nacional Manuel Antonio. 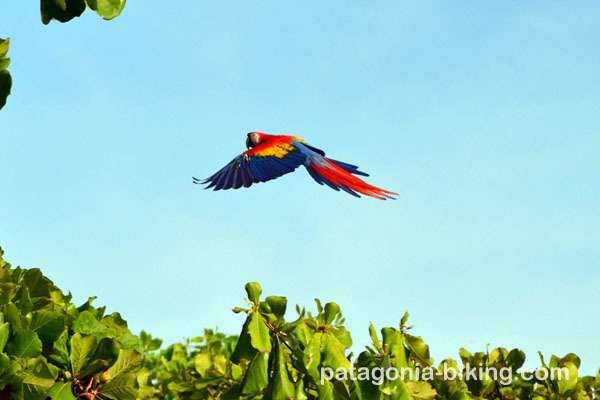 Peninsula de Osa: Drake, Puerto Jimenez, Cabo Matapalo, PN Corcovado. daily average riding is 52 km for 12 stages. 85 % of the trip is on dirt road. There are some ups and down with quite a slope. Level difference is 5500m. The biggest difficulty in this trip is the hot weather and humidity.